The name is symbolic, emphasizing the power and beauty of individual brilliance as part of the greater fabric of the Whole. 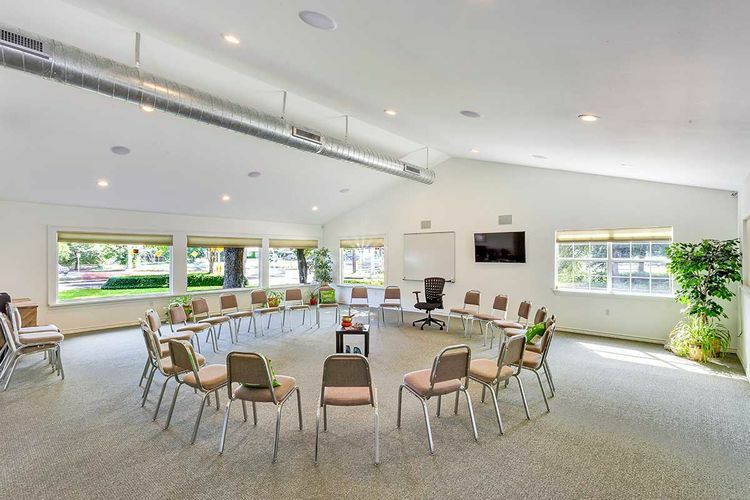 In the Unity Room, your business or organization can come together to foster cohesive teams, to develop your 2020 vision, or to strategize about increasing your bottom line. 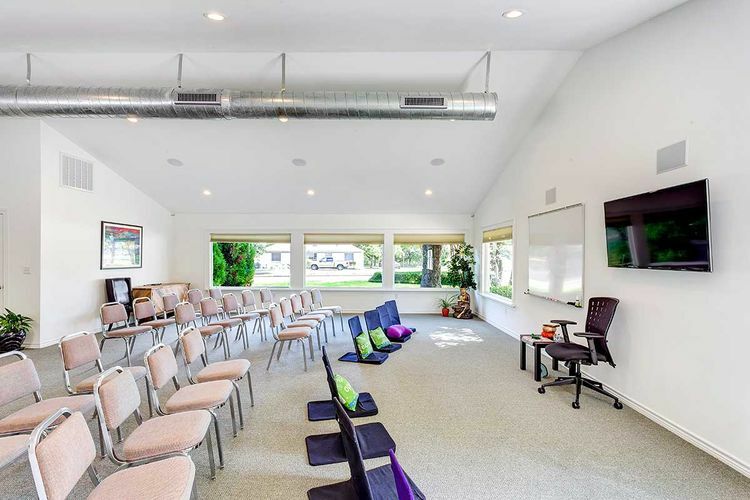 Whatever your need, The Unity Room provides the creative and inspiring atmosphere for your group, allowing you and your colleagues to take the next steps towards manifesting concrete solutions and synergy for your organization. 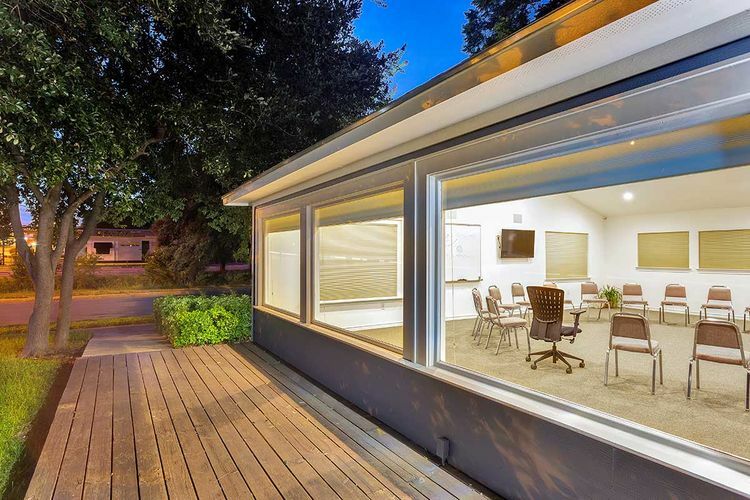 The Unity Room is popular with innovative, socially-conscious, and inspired groups seeking a creative, peaceful, grounding space with lots of natural light, beautiful 30-year old pecan trees, and large picture windows… a natural sanctuary in an urban setting in the heart of Austin. 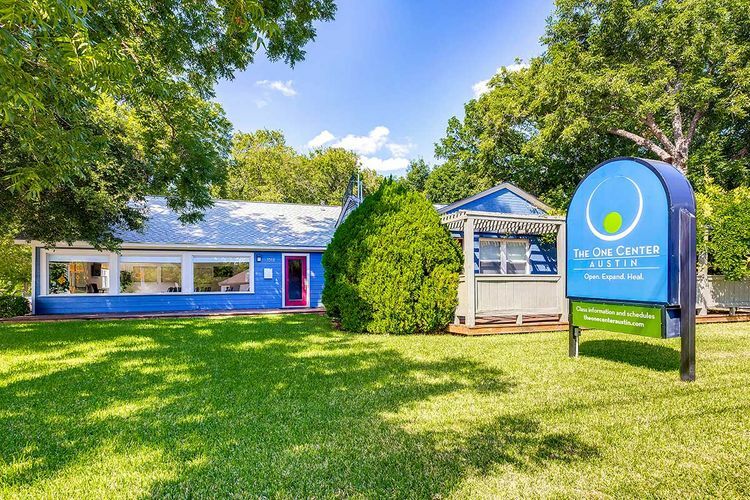 The One Center Austin is within walking distance to coffee shops and restaurants and many more eateries and hotels are a 5-10 minute drive away in the lower Burnet business district (Lo-Burn). The One Center is conveniently located with easy access to both I-35 and Mopac Expressway (Loop 1), and a bus stop on the corner. Contact us with further questions, or to book your next event!